"Use only butter in these for best flavor." Cream butter and sugar until fluffy. Stir in vanilla; add flour and mix well. 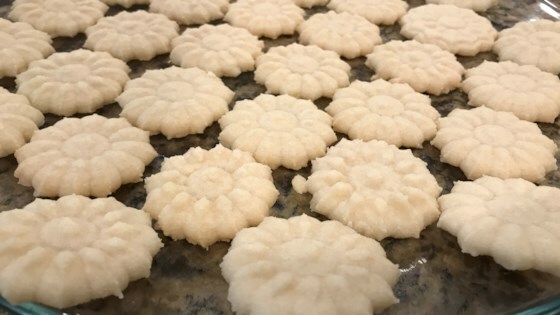 Put through cookie press and form cookies onto baking sheets. Bake for 10 - 12 minutes. I made a second batch using "orange" extract instead of the vanilla. They were fabulous!